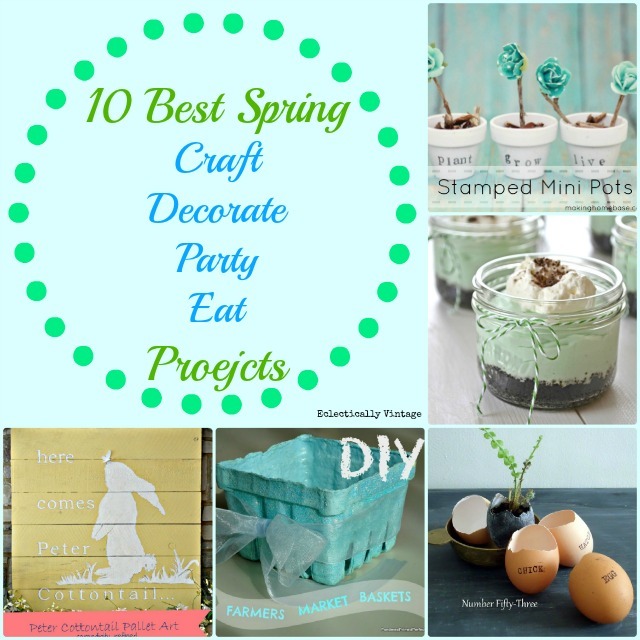 360 fabulous projects joined us at the 6 Days of Spring party (see them all here). 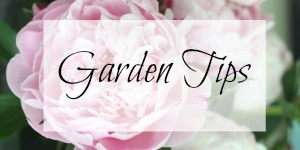 So many amazing ideas and here are a few of my favorites. 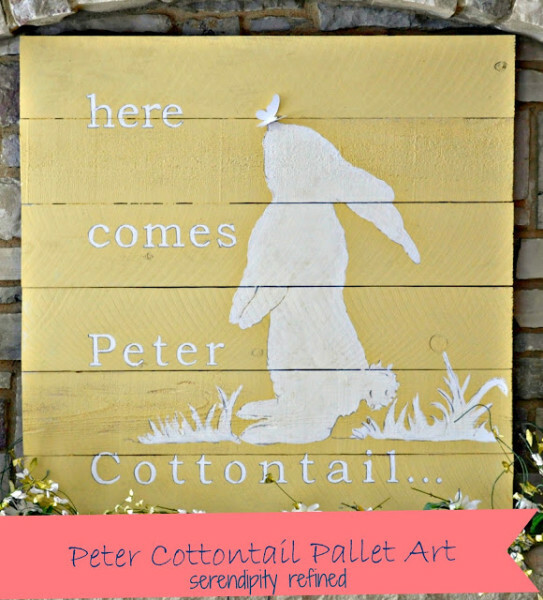 Reclaimed wood bunny art from Serendipity Refined. 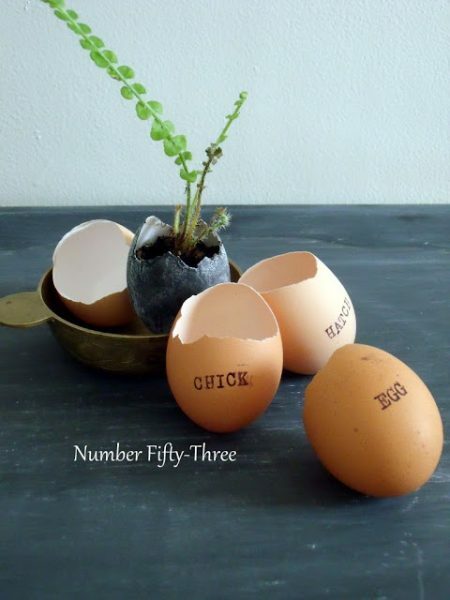 Chalkboard and stamped egg planters from Number Fifty-Three are the cutest. 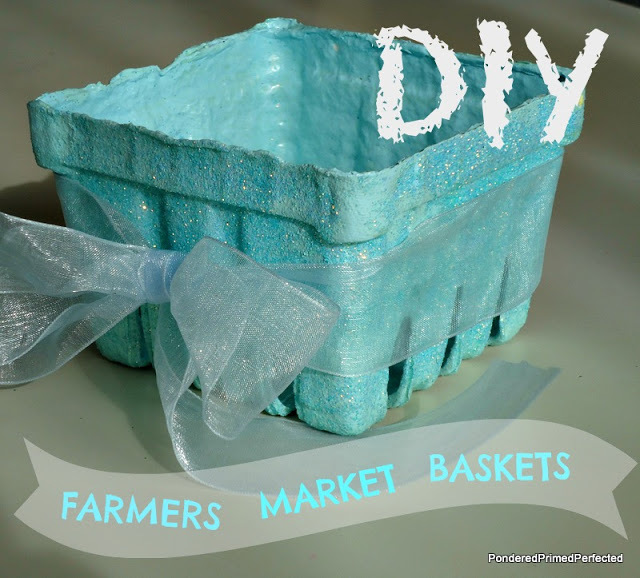 DIY farmer’s market baskets are such a great idea from Pondered Primed Perfected. Making Home Base made me smile with these tiny word stamped pots. 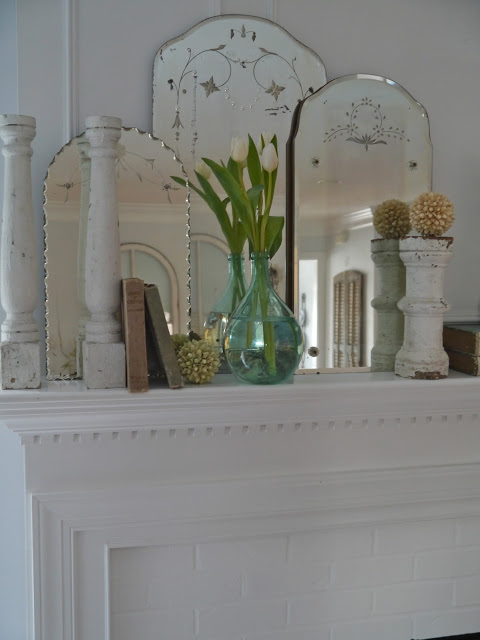 Chateau Chic springified her mantel with this fabulous etched mirror collection. 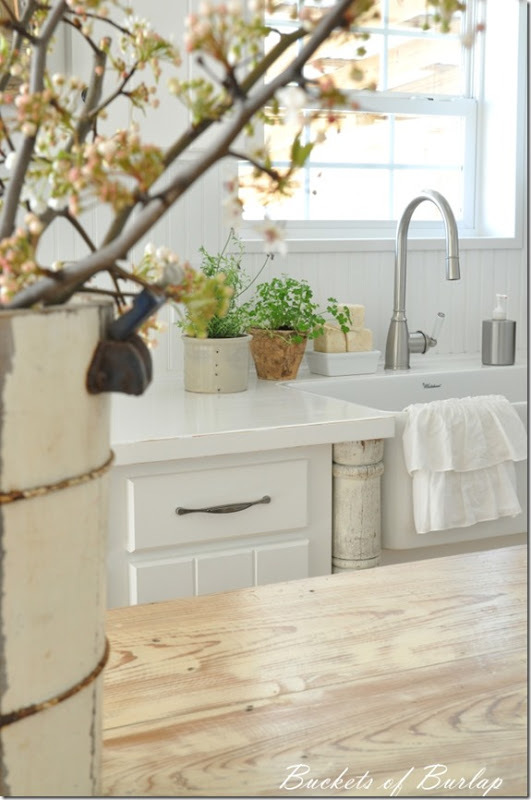 Love that Buckets of Burlap painted her countertops white for a fresh spring kitchen. You’ve got to see the rest of this beautiful room! Sophia’s Decor set the prettiest Easter table complete with the cutest spring baskets tied to the backs of chairs. Why settle for a boring bow when you can top your gifts with these cute flower bows from I Gotta Create. Does it get any better than this colorful Peeps popcorn from Simply Klassic Home! A Pretty Life in the Suburbs had me at no bake and these mini grasshopper pies remind me of my favorite Thin Mint cookies! Thanks to everyone who joined our 6 Days of Spring Party! Check out 360 ideas and get inspired. good for the winners!! I guess I won’t be going shopping. Gorgeous inspirations! I love the baskets on the chairs! Too cute. Great projects filled with inspiration. Thanks. Everything looks so fun and cute to do! Good picks Kelly! Lots O’ good stuff!! Kimberly did such an amazing job on that mantel. Happy to see her bunny art featured!! LOve all of these baskets! Of to go look at some of the tutorials! 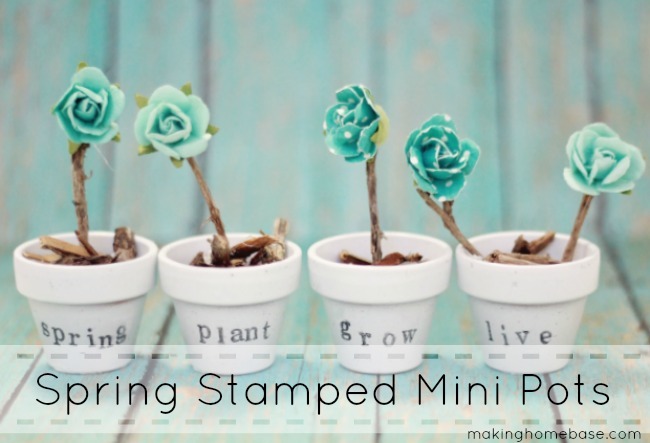 Congrats to everyone for posting such beautiful spring projects! Thanks for featuring my egg project, Kelly! 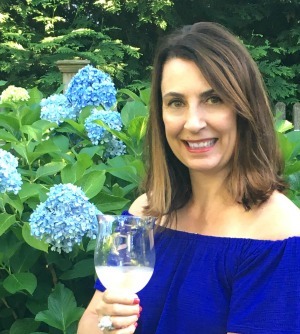 I loved the inspiration at this party! 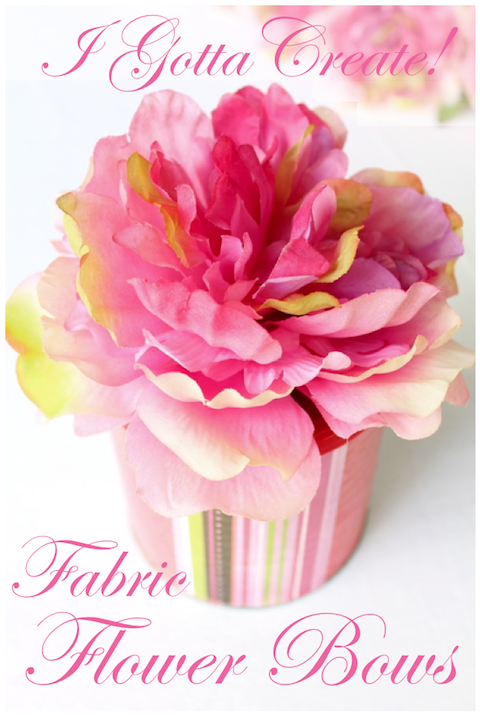 Thank you for featuring my flower bows for gift packages, Kelly! Lots of great inspiration here. Oh I just love the farmers market baskets! What a great idea for my classroom. Break out the glue and glitter! I’ll have to send you pictures. Thank you Kelly! Such an awesome roundup! I love all of your choices. I love all of these fresh ideas. I love doing new projects in the spring. 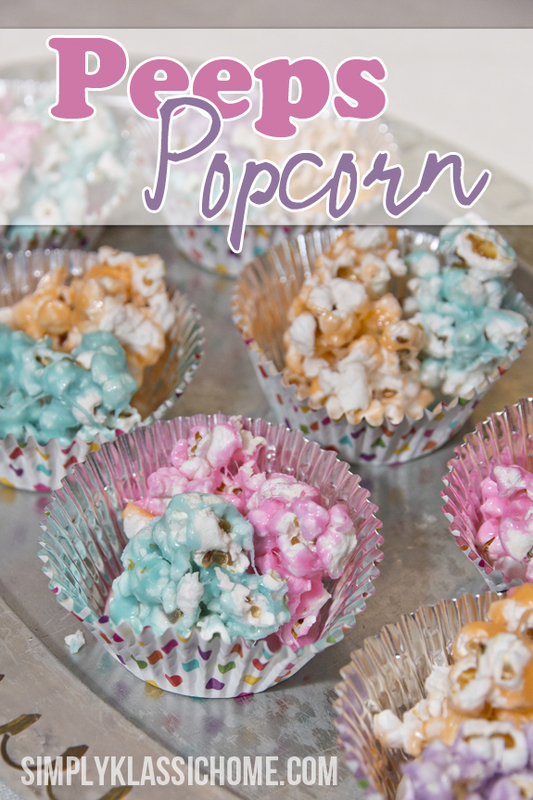 So many great spring ideas … now I want some peeps popcorn for lunch! Thank you so much for including my Mini Grasshopper Pies with all these great features!! 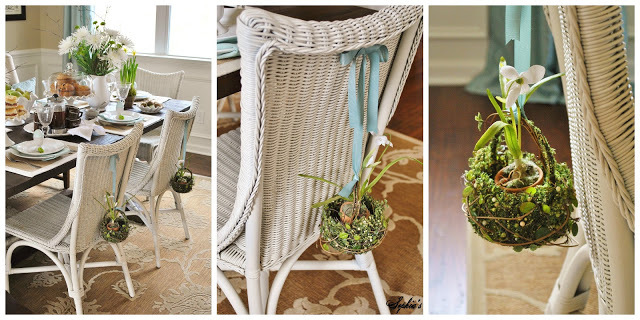 Thanks for featuring my Easter table and baskets on the chairs! 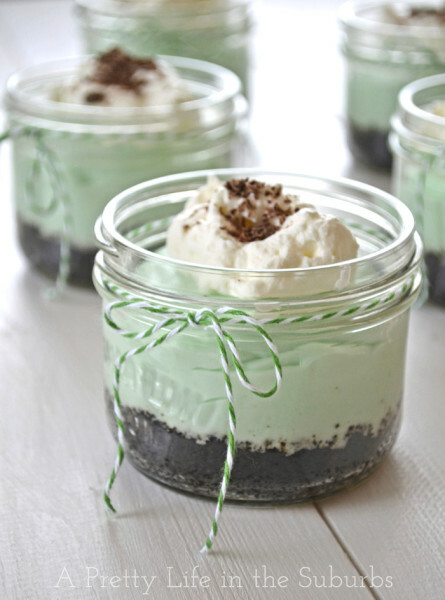 I am seriously going to make those Mini Grasshopper Pies…they look so incredibly delicious! Al of these features are awesome. Buckets of burlap a kitchen is beautiful, and that mirrors collection is fabulous. I can’t believe all of these great ideas!! I love the bunny picture AND I just bought a case of those mini jars to make desserts for Easter! Will definitely have to check out those flower bows too! So many creative peeps out there! Thanks for sharing. Beautiful projects but I really love those chair baskets! So sweet! These are all so adorable, and perfect for Easter decorating. What a fabulous round up! Thanks for sharing my Peeps popcorn!